According to Holmes and Rahe, Journal of Psychosomatic Research, 11(2), 213–218, (1967), Christmas is a critical life event that may cause feelings of stress that, in turn, can lead to reduced subjective well-being (SWB) and health problems. This study uses a quantitative approach and large-scale survey data to assess whether or not respondents in European countries indicate lower SWB before and around Christmas. Precisely, respondents interviewed in the week before Christmas or at Christmas holidays are compared to respondents who are questioned at other times throughout the year. Moreover, the assumption is tested if religious denomination and religiousness moderate the association between Christmas and SWB. 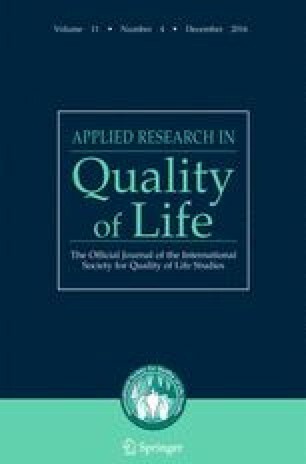 Main findings suggest that the Christmas period is related to a decrease in life satisfaction and emotional well-being. However, Christians, particularly those with a higher degree of religiousness, are an exception to this pattern. Deloitte and Touche GmbH (2014). Christmas Survey 2014. Published online: https://www2.deloitte.com/content/dam/Deloitte/de/Documents/consumer-business/christmas-survey-2014.pdf. Accessed 28.06.2015.